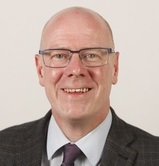 Kevin Stewart MSP, Minister for Local Government and Housing, has written to Scottish charity PAMIS (Promoting A More Inclusive Society) to confirm that he intends to introduce Changing Places toilets into Scottish building regulations for certain types of new buildings. These include: large enclosed shopping centres (30,000 m2 and above); hospitals; leisure centres (particularly swimming pools); large stadia and arenas; and future-proofing schools. Unlike a toilet for disabled users, a Changing Places toilet has extra room for two carers and a wheelchair, a hoist and tracking system and an adult changing bench. The details of this proposal will be worked through by the Scottish Government, with the support of a review group, and will include a public consultation, impact assessments and changes to legislation and guidance. This process is expected to take between 2 and 2.5 years to complete. PAMIS is the only organisation that works solely for people with profound and multiple learning disabilities and their family carers to ensure they have access to healthy, valued and included lives. We support families, practitioners and communities through education, research, development of inclusive practice, campaigns and input into local and national policy development. We have also worked closely with the Scottish Government on the development of policy and practice. This work includes representation on government committees, responding to consultation exercises, and campaigning on key issues. As co-founders of the Changing Places campaign and members of the Changing Places Consortium, PAMIS have been campaigning tirelessly to the Scottish Government to make the changes to Building Standards necessary to see an increase in the number of these facilities across Scotland. They, and many of the family carers across Scotland, have been highlighting how this will improve the lives of thousands of families who are severely restricted by a lack of facilities and as a result find themselves excluded from their communities and travel. There are currently 167 Changing Places facilities across Scotland.